One of the major new features in Tiger Woods PGA Tour 12: The Masters -- aside from the whole, uh, Masters Tournament thing -- is something that EA is calling "The Caddy Experience." Real golfers often ask their caddies for advice on shots, and this year, you'll have an in-game caddy who will offer suggestions and explanations if you need them. 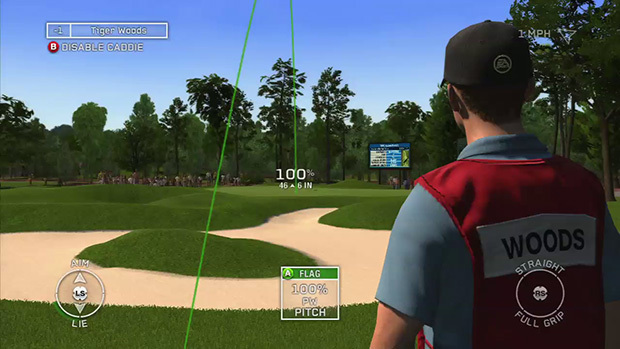 EA has released a developer diary detailing the caddy feature in PGA Tour 12, and you can check it out above. It's more of a usability/interface improvement than a gameplay feature, but anything that has the potential to lower my handicap is appreciated. Tiger Woods PGA Tour 12 will launch for PlayStation 3, Xbox 360, and Wii on March 29th in North America and April 1st elsewhere.